There are currents of idealism in both ancient and classical Hindu philosophy. Like Absolute idealism of Hegel, Hindu idealism is essentially monistic, espousing the view that consciousness is the essence or meaning of the phenomenal reality. The presence of idealist concepts in Indian thought has been emphasized by Rupert Sheldrake and Fritjof Capra. The oldest reference to Idealism in Hindu texts is in Purusha Sukta of the Rig Veda. This sukta espouses panentheism by presenting cosmic being Purusha as both pervading all universe and yet being transcendent to it. Absolute idealism can be seen in Chāndogya Upaniṣad, where things of the objective world like the five elements and the subjective world such as will, hope, memory etc. are seen to be emanations from the Self. Idealist notions have been propounded by the Vedanta and Yoga schools of thought. Idealism was opposed by dualists Samkhya, the atomists Vaisheshika, the logicians Nyaya, the linguists Mimamsa and the materialists Cārvāka. Kashmir Shaivism is also categorized by scholars as realistic idealism. Vedanta is known as "essence or conclusion of the Vedas", Indian scriptures. Vedanta is probably most important idealist school of India. There are different vedanta schools, which understand vedanta-sutra differently. But all of the school should accept the statement of Vedanta, that one should inquire about Brahman. Brahman can mean material nature (mahat-tattva). 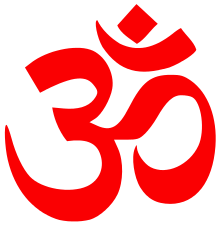 But there is also saying "I am Brahman", which means "I am spiritual soul" (jiva-atma). Thus, vedanta idealism leads to understanding of Brahman, the soul. But there is another Brahman, Supreme Brahman (Parabrahman), which is known also as the Supreme God. Material nature and atmas, souls are just unconscious nature (prakriti) and conscious energy (tatastha-shakti) of the Lord, Parabrahman. And aim of vedanta idealist is not just to know Parabrahman, but also to connect with it in yoga-meditation. When brahman or soul connects with Parabrahman, that is called samadhi, which is at the same time the topmost stage of eight-fold yoga practice. Parabrahman is also known as Paramatma, though these terms are not absolutely synonymous. Paramatma is the Super-soul in everyone's heart. There are four kinds of Paramatma: Kshirodakashayi-Vishnu (God in heart, next to the soul, jiva-atma), Garbhodakashayi-Vishnu (Supersoul of material universe, brahmanda), Maha-Vishnu (Supersoul, from whom all brahmandas appear), and finally Narayana (Supersoul or God of the spiritual world, Vaikuntha). Different vaishnava-sampradayas have different ideaas of the Supreme Brahman. For some this Parabrahman is Narayana, for others it is Lord Ramachandra or Lord Krishna. Path of bhakti-yoga is a way to go to eternal Vaikuntha world, where soul will live on same planet with Parabrahman, in eternal spiritual body. However, non-devotional understanding of Vedanta is that one's aim is to become one with impersonal Brahman, which is the rays of Parabrahmans, God's body. Impersonal Brahman is also called as brahmajyoti. One who goes to brahmajyoti, but doesn't connect with the Supreme Soul (Paramatma or Parabrahman) in the process of bhakti-yoga, has to go back to samsara (cycle of reincarnations). The essence of Hindu Idealism is captured by such modern spiritual teachers as Sri Nisargadatta Maharaj, Sri Aurobindo and Sri Sri Anandamurti, also known as P.R. Sarkar. Sri Nisargadatta advocated discovery of the real self. By establishing oneself (as jiva-atma, spiritual soul) in the earnestness of spiritual pursuits, it is possible to transcend the temporal self ("aham-kara" - "I am doer", false ego), limited by desires, fears, memories and mental constructs, and gain blissful immersion from material world (brahmanda, mahat-tattva) into the ocean of the pure consciousness (brahma-jyoti or rays) of God (or Absolute Truth, known in vedanta as Brahman and in Srimad Bhagavatam as Paramatma, Bhagavan, Vishnu, Narayana and Krishna). Theories on Idealism such as theory of Microvitum have been developed by P.R. Sarkar and his disciple Sohail Inayatullah. ↑ Krishnananda, Swami. Daily Invocations. Divine Life Society, The Purusha Sukta, Verses 4-5. ↑ Nikhilananda, Swami. The Upanishads — A New Translation. Chhandogya Upanishad, Parts 5-8. Rupert Sheldrake (1982), A New Science of Life (Tarcher).